Want to volunteer with us in the community? Diplomats are our office’s representatives in the community, visiting locations across the county to provide voter information and registration. 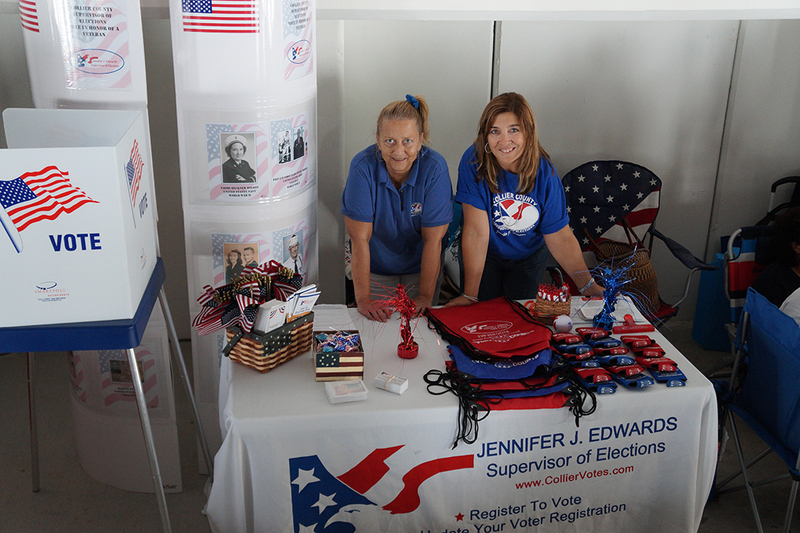 Their role is to help Collier County residents register to vote, update their information to be ready for our upcoming elections, answer election-related questions and be a resource across the county for residents looking to learn more about the electoral process. For more information on what kinds of programs our Diplomats help with, please visit our Community Programs page and our School Programs page, or our Community Calendar of upcoming events. Our Diplomat program provides a great way to interact with the community and to further our office’s motto of “Ensuring the integrity of the electoral process.” We provide training and all materials needed for outreach events in the community and our schools. Compensation: $10/hour plus mileage at the current Collier County rate. For more information regarding third party voter registration organizations visit the FL Division of Elections website. For questions or to express interest in becoming a Diplomat, please contact Voter Education Coordinator Heather Doane at (239) 252-8805 or Heather.Doane@CollierCountyFL.gov.